Happy Monday lovies! I always mention how I LOVE LOVE LOVE stumbling upon new brands and its amazing when they’re available in South Africa. 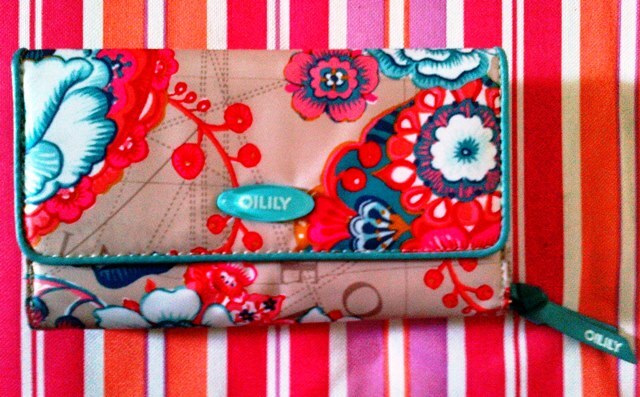 Just the other day I fell head over heels in love with a brand called Oilily, after spotting my bestie’s purse. She did however mention that it was bought in Holland so I had a *BLEH* moment thinking that we probably wouldn’t find it in South Africa. Then of-course I had a bit of a Google light bulb and found that they do indeed have an online store and a few selected stockists here in South Africa. What is Oilily you ask? Oilily is a Dutch brand that was founded in 1963 and sells a variety of goodies ranging from Handbags, wallets, women’s clothing, kids clothing and way more. Oilily initially only sold Kids clothing, but later evolved into something huge… Something spectacular. I loved the quality and texture of my friend’s purse. Its definitely worth investing in and would last you a good couple of years when looked after. I really like how you can find something for everybody and besides that, all their goodies are prettiness overload. 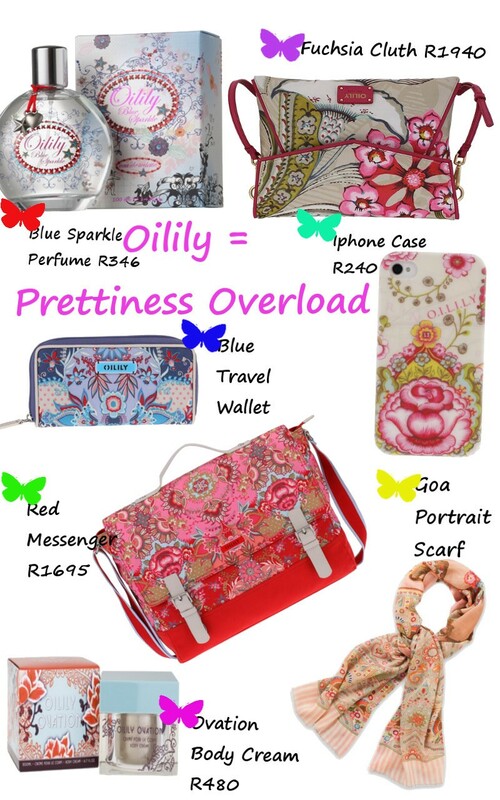 The pops of colour in the Oilily range screams S-U-M-M-E-R must haves! If I had loads of moola, I’d probably blow everything in 5 minutes shopping up a storm. I feel that everything in the Oilily range is reasonably priced so you don’t have to spend lots of money on spoiling yourself or getting somebody the perfect gift. So of course with the finding of a new brand that’s right up my alley, I gotta have a lust list too. I made up a list with all my Need.Want.Must-Have items. I would’ve added everything on www.dutchfavorites.co.za if I could, but I had to behave myself just a lil. I’m particularly gaga over the red messenger. Agreed?! I so see myself rocking that baby all summer. Tags: Friends, Must Have Monday, Must Haves, Oilily, Online Shopping, Shopping, South Africa, Summer Must Have. Bookmark the permalink.